Perhaps the hardest thing about building a new website is choosing a designer. Find out here the questions you should be asking. Perhaps the hardest thing about building a new website is choosing a designer. With so many companies to chose from it can be a daunting task. For many smaller companies this process can be time consuming and potentially expensive, especially when you realize that the new website will be the first contact for many potential customers and that failure here may be the driving factor behind whether or not people chose to do business with your company. For this reason, it’s crucial that you chose a company that will help you reach your target audience and help you reach your goals and objectives. Here are a few things to look for when choosing an agency to design and build your website. You know your business and what you are selling. If your agency of choice does not listen to your ideas, then it’s a sure sign you should look for another agency that takes a more collaborative approach in creating your website. While it’s important that the designer listens to what you have to say it’s also important that they bring up innovative ideas to make your website even better than you imagined. Your agency of choice should have insight into messaging, branding and design that will elevate your website to the next level. You’ve built a beautiful new website, but no one knows about it. In order to have a successful website launch you need to know how to expose it to the world. Make sure that the agency you are working with knows the right outlets to distribute your website and has some insight into your particular industry. DO THEY DESIGN WITH CMS IN MIND? These days a website without a Content Management System (CMS) is pretty pointless. Without a CMS you’ll constantly be calling the developer to make content changes and updates which can become quite expensive. If your developer recommends static HTML then you need to start looking again for a new design agency. Your website needs to be responsive, there are no alternatives, this is not a passing fad, this is how it is. 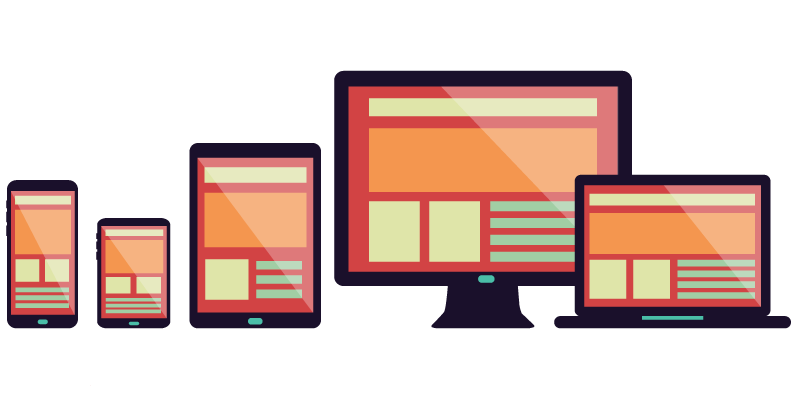 With 40+ percent of all internet traffic coming from mobile devices, it is crucial to have a mobile responsive website. Who wouldn’t want their site to look amazing on all devices? The best way to tell if a website developer knows their stuff is to look at their portfolio, the work they’ve done will say a lot about them. Don’t trust screenshots of home pages, visit the actual site, see it in action, try it on different devices and with different browsers. You want to see their websites in action. It’s not always about seeing something you like, some agencies build beautiful websites that function poorly, look at the big picture. The web changes quickly these days, best practices are constantly changing. Designs that were in style last year may not be this year, but good functional, clean code is always in style and should be a part of the decision. The longer an agency has been around the more easily they’ll be able to adapt to the changing needs of their clients and the better the chances that they’ll be around next year if you need them. An advertising agency has to know more than how to make something look good. They need to know how to layout a website, especially where navigation is concerned. Users usually come to a website for a reason. If it takes them a long time to find what they are looking for they may look elsewhere. Be sure to create a site that is intuitive. DO THEY KNOW MORE THAN ONE INDUSTRY? 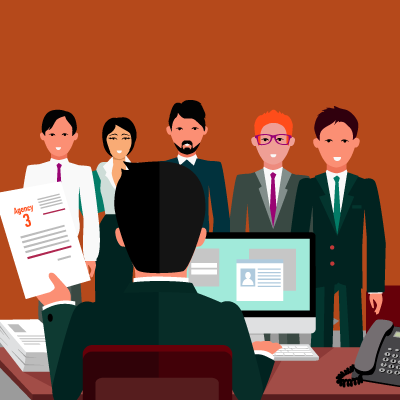 It is necessary to find an agency that has experience in multiple industries. A company with broad experience across different markets is more likely to create something out of the box that separates you from the rest of your industry. DO THEY KNOW LOCAL AND NATIONAL LEVELS? An advertising agency with national exposure is more like to create something that will give greater chances for broader success. Local companies can reach a bigger audience with a designer that can think big. DO THEY KEEP UP WITH MODERN TRENDS? It is important to keep up with design and technology trends that include a modern look and feel, along with functionality that works on all the latest devices, the site has a higher rate of success when these aspects are incorporated. An agency needs to be familiar with all of the latest technologies and modern design fads but experienced enough to know what will work and what won’t. A website needs to function on many levels not just look good. In conclusion, there are so many pieces that go into the development of a website. As a business owner you’re relying on the agency’s experience to help you navigate the many levels of complexity around designing, building and maintaining a website. A well designed website is not going to be cheap, but if you want to do it right, it is important to pay the extra money to have a website you are more than happy with. Davidson Belluso is a full service advertising agency founded in Phoenix, Arizona, in 2001 by Rob Davidson and Michela Belluso. With clients ranging from the private to the public and nonprofit sectors, Davidson Belluso specializes in economic development, homebuilding, tourism, healthcare, and education industries. Client experience includes the Phoenix Biomedical Campus, CVS Caremark, Blood Systems, Tempe Tourism Office, Phoenix Sky Harbor International Airport, the City of Phoenix Community & Economic Development Department, Tutor Perini Building Corp., McMillan International Group, Targas, National Bank of Arizona, and California Bank & Trust. For more information, visit davidsonbelluso.com. 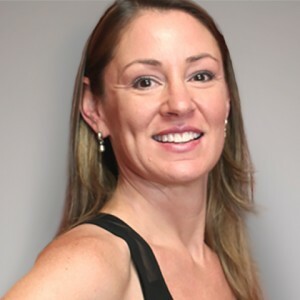 With more than 15 years experience providing media services, Dianne has planned and purchased media for city, tourism and hospitality clients including AMFAC Resorts, Olympus Hospitality Group/Rock Resorts, the Downtown Phoenix Partnership, and National Airlines. In her career, she has also worked with Cox Communications, Phoenix Coyotes, T.W. Lewis, Tramonto and KPHO-TV. Dianne has been a key personnel on the Tempe Tourism Office account, resulting in a successful advertising campaign with above industry standards analytics results. When she is not negotiating media buys, Dianne loves watching football. Malicious emails are all too common in cyberspace – here are a few tips to help you recognize the most common forms of malware.